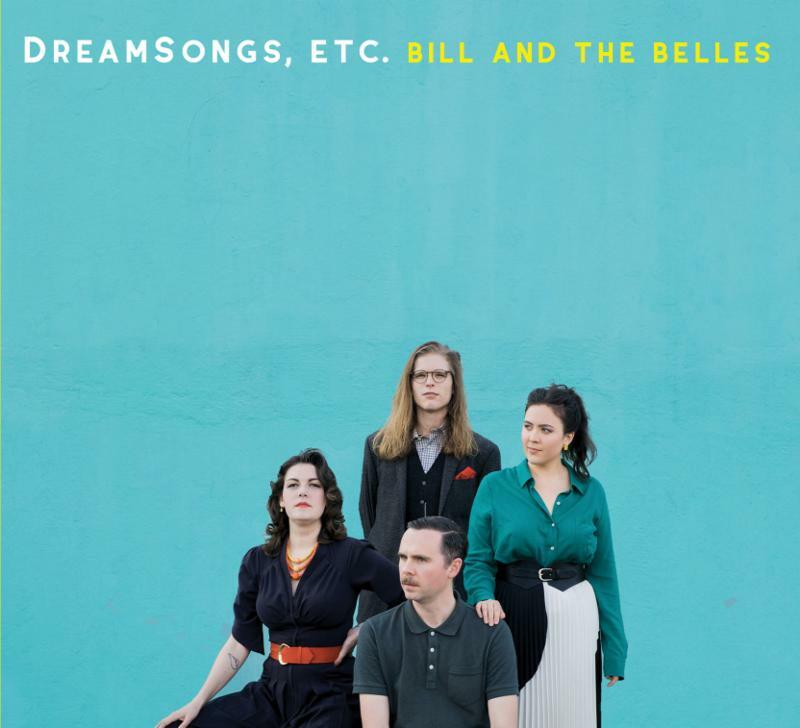 Bill and the Belles Announce New Album, "DreamSongs, Etc." NASHVILLE, Tenn. – June 27, 2018 – Today, Bill and The Belles announce their first full-length studio album, DreamSongs, Etc . From the foothills of Blue Ridge in Johnson City, Tennessee, Bill and The Belles captivate fans with rich vocal harmonies and simple catchy melodies, built on a strong foundation of love for early American music. The forthcoming album, recorded in just two days inside a beautiful old farmhouse in the rolling hills of Southeast Virginia, is set for release on August 24, 2018 on Jalopy Records . Along with the official album announcement, the video for the album’s first single, “Wedding Bell Chimes” premiered exclusively on American Songwriter today. Bill and The Belles are currently touring the East Coast and will appear at RockyGrass, Bristol Rhythm & Roots Reunion, and IBMA (full dates below). DreamSongs, Etc. is available for pre-order today. With the addition of bass player Karl Zerfas, Bill and the Belles stepped into the role of house band upon the launch of a live radio show, Farm and Fun Time , presented by Radio Bristol. Truelsen started that community radio station, housed within the Birthplace of Country Music Museum in Bristol, Tennessee, in 2015. Along with sharing the stage with the nation’s top roots artists ( Marty Stuart and the Fabulous Superlatives and Earls of Leicester ), the group writes and performs the snappy, comical jingles for the show’s monthly sponsors.